In August I moved to back to San Francisco and have been able to explore the beauty of this creative city. It’s been nice to have a day job that allows me a lot of flexibility to do many of the fun, random things that this city has to offer. I love my job and my roommates and everything is good in the world. Yay! With the rush of holidays coming on I wanted to come up with a fast and meaningful gift idea. Dishcloths are quick and easy but universally useful. They are great to make when I find a cotton yarn that just needs to be in my yarn basket. 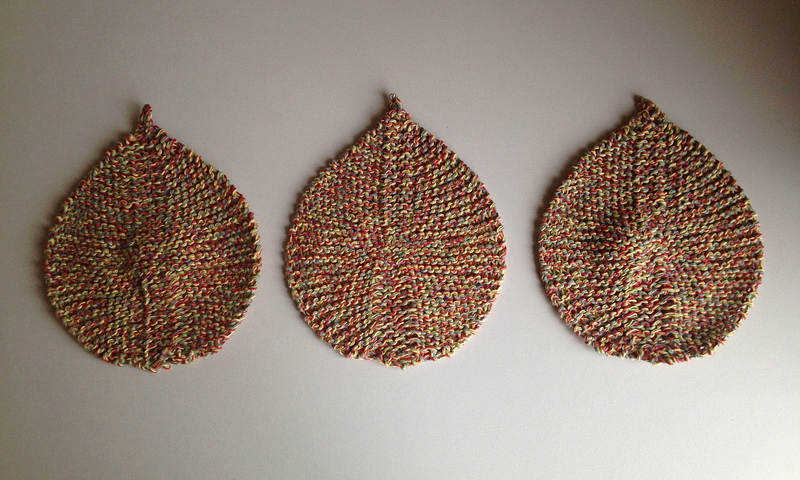 I found this square pattern on Pinterest and this leaf pattern on Tricksy Knitter a few months ago. I can’t wait to make a pile of them to hand out to family and friends. 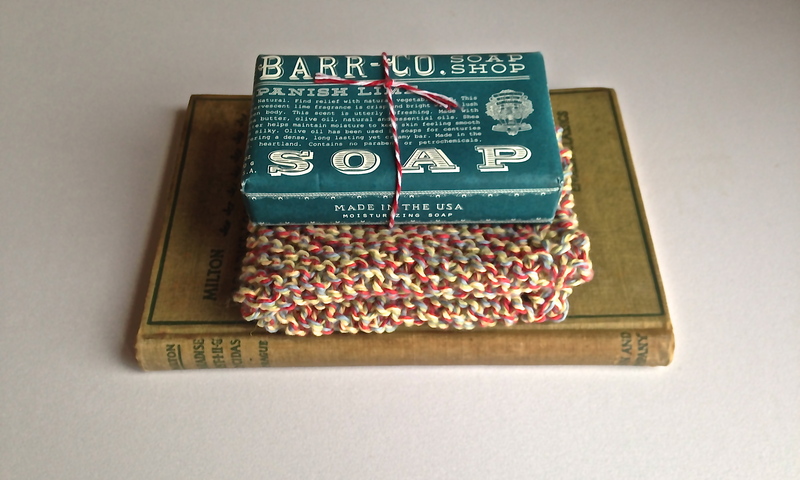 Wrap it up with a cute soap or a candle and call it a relaxation kit. Or box it up with Mrs. Meyers dish soap with a pair of rubber gloves for someone who loves their kitchen. What other kits can you think of? I’d love to hear some ideas! These are adorable! I’ve knit some dish cloths when we ran out of sponges one day but hadn’t thought I could get creative with the shape. This is going on my list! I’m so glad! That website has a few other versions of the leaf shape! Can’t wait to see them!